The company Johannes Lübbering GmbH is the leading manufacturer of high precision tools in the sector of fastening and drilling technology. LÜBBERING’s geared offset heads are used worldwide predominantly at the assembly stations of almost all well-known automobile and aircraft manufacturers. The hightech-drilling systems from LÜBBERING are used in the assembly halls of many large and small aircraft manufacturers, from Hamburg to São Paulo. Our ideas arise in the heads of our employees. Therfore we pursue steadily together the development of more than another idea. With the passion for technology, quality and design, we achieve this daily target again and again in different sectors. The most sustainable way to improve quality: in harmony with nature. The market success of our products and services is a direct result of their quality and our tireless endeavours to meet our customers' demands. Our ISO 9001 quality management system has been in place for many years and contributes to improving our quality assurance and processes on a continous basis. As a company which is conscientious of the responsibility it bears to its employees and their families, as well as to the environmental and society as a whole, we consider it our duty to handle the environment and resources we use with care and sustainability in mind. 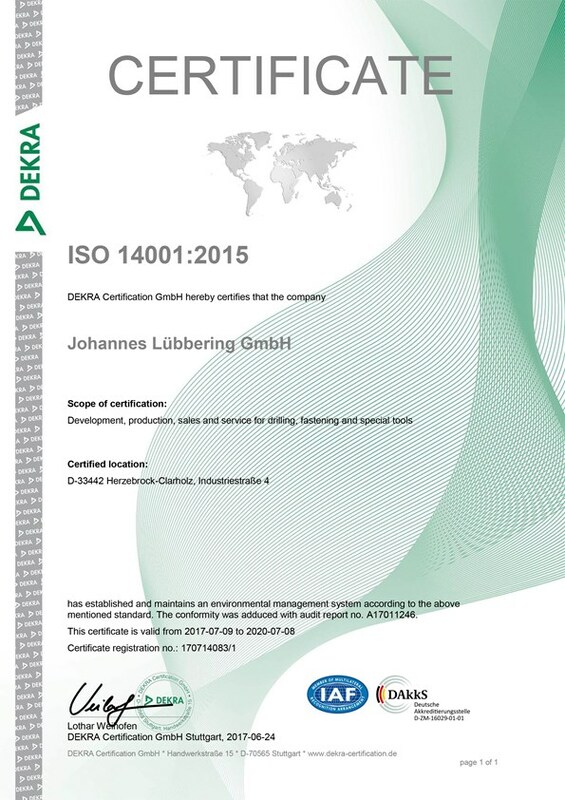 To this end, we have just introduced the ISO 14001 environmental management system in 2014 and successfully passed the certification process. 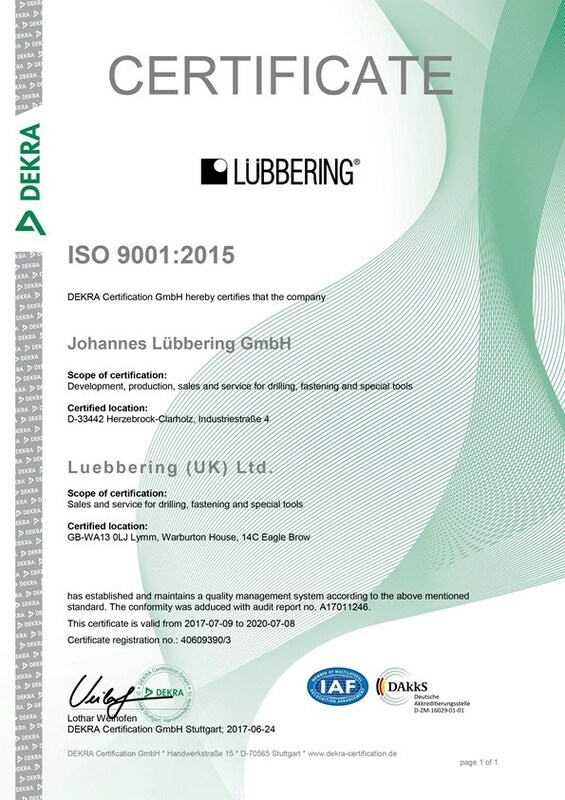 In June 2017 Lübbering successfully passed the certification process according to ISO 9001:2015 and ISO 14001:2015 which is valid until 2020.